Huawei will unveil its P30 series on-stage in Paris on March 26, 2019. Ahead of the hotly-anticipated launch, the next-generation handsets have surfaced on Amazon's Italian website just days before the official announcement. The launch of this phone is leakier than a sieve, with another mistaken retail listing revealing that pre-orders from Huawei come with a free Sonos One, no less. The listing appears to confirm a number of previously rumoured tidbits, including the quadruple camera set-up. This new camera system follows the triple-camera on the Huawei P20 Pro, which offered 3x optical zoom and improved low-light capture. 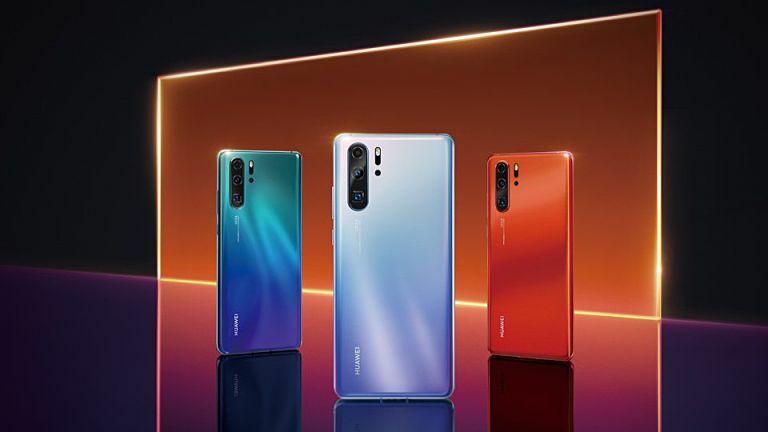 According to the Amazon.it listing, the P30 Pro will boast a 10x hybrid zoom – suggesting that Huawei has managed to match the zoom technology unveiled by Oppo at the Mobile World Congress tradeshow last month. Unfortunately, the Huawei P30 Pro was not available to buy. Instead, customers could pre-order the handset, which would ship after its official unveiling. And now, even that is no long possible, since the listing has, not surprisingly, been canned. Thankfully, before it was unceremoniously ditched from Amazon, the listing, first spotted by the eagle-eyed team at Android Police, provided some new information about the hotly-anticipated Huawei P30 Pro. According to the retailer, it will boast a Kirin 980 system-on-a-chip as well as a 4,200mAh battery, which is the same capacity as the Mate 20 Pro. The P30 Pro looks set to use the Leica branding on its camera technology, continuing the collaboration between the two brands that started with the Huawei P9 in 2016. The P30 Pro looks set to sport a 40MP primary sensor, coupled with 20MP and 8MP additional ones, as well as a new Time Of Flight sensor, which will presumably help with depth perception. On the front, there's a 32MP camera for selfies and video calls. Other details unearthed from the Amazon listing include confirmation that the P30 Pro will use a USB-C port to sync and charge. It'll run Android 9.0 Pie and will support expandable storage, none of which comes as a major shock. The Amazon listing, which has now been taken down, reveals the price of the smartphone will be €1,024 (roughly £880 or $1,167). The phone will ship April 5, 2019, assuming the information posted on the retail website is accurate. We won't know whether any of the details included in the Amazon listing are accurate until the P30 series event next week – as always, T3 will be in the audience and will have all the details as it breaks. However, unless the Amazon Italia team is simply bored at work and pranking us, it seems likely that we now know most of what there is to know about the Huawei P30 Pro.